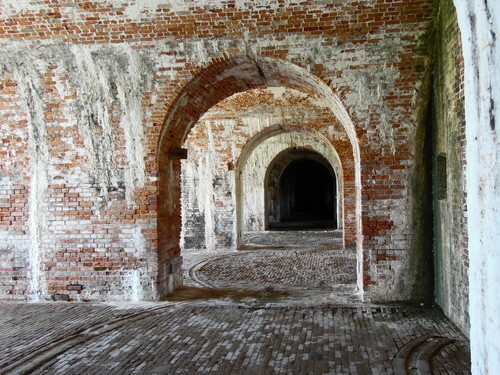 Since 1834, Fort Morgan has stood as the guardian of Mobile Bay. The fort was active during four wars — the Civil War, the Spanish-American War and World Wars I and II. The fort is most famous for its role in the Civil War Battle of Mobile Bay. Union Adm. David Farragut damned the torpedoes and went full speed ahead to win the battle. The massive fort contains more than 40 million bricks and pays tribute to the skilled masons, many of who were enslaved African-Americans. 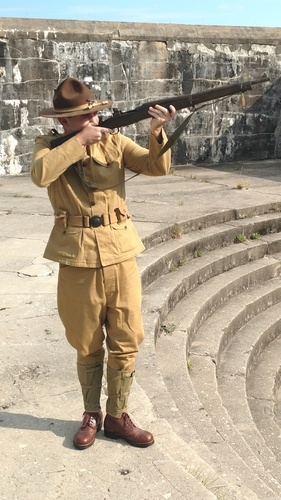 The fort features an active living history program that interprets all the military periods and holds an annual event commemorating the Battle of Mobile Bay. The military site and National Historic Landmark is located 22 miles west of Gulf Shores. On August 5, 1864, Fort Morgan played a key role during the Battle of Mobile Bay before surrendering to Union forces after a two-week siege. Alabama's largest permanent military post between 1900 and 1923, the fort served during the Spanish-American War and World Wars I and II. The 479-acre site contains concrete artillery batteries constructed between 1895 and 1904 and historic military buildings dating from 1899 to 1910. 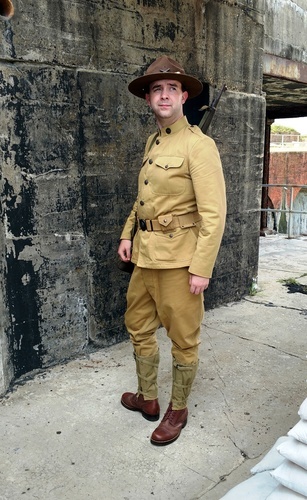 A museum details the American military history of Mobile Point from 1814 to 1945. 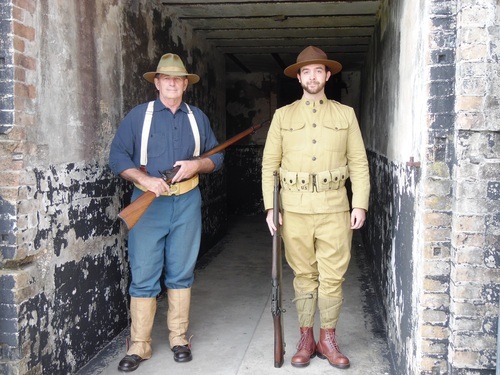 Exhibits feature weapons, uniforms, letters, photographs and personal items of soldiers who served at the fort.